Use Noodlebib to cite your sources in MLA and APA formats. Nursing & Allied Health Database | Find full-text peer-reviewed articles. 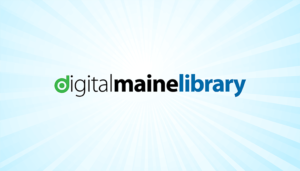 The Digital Maine Library provides every resident of Maine with access to online resources that include a collection of full text articles and abstracts from magazines, newspapers, journals and reference. Nursing Reference Center Plus is an essential nursing database that provides evidence-based information for point-of-care, continuing education, and nursing skill sets. Locate articles in a wide range of subject areas. PubMed is the US National Libray of Medicine’s premier search system for health information. The Download Library is now powered by the Bibliotheca/ Cloudlibrary. There are thousands of leisure and non-fiction ebooks and audiobooks for your reading pleasure. Streaming videos you can access on and off campus for your class projects. Have a Quick Question? Text us!